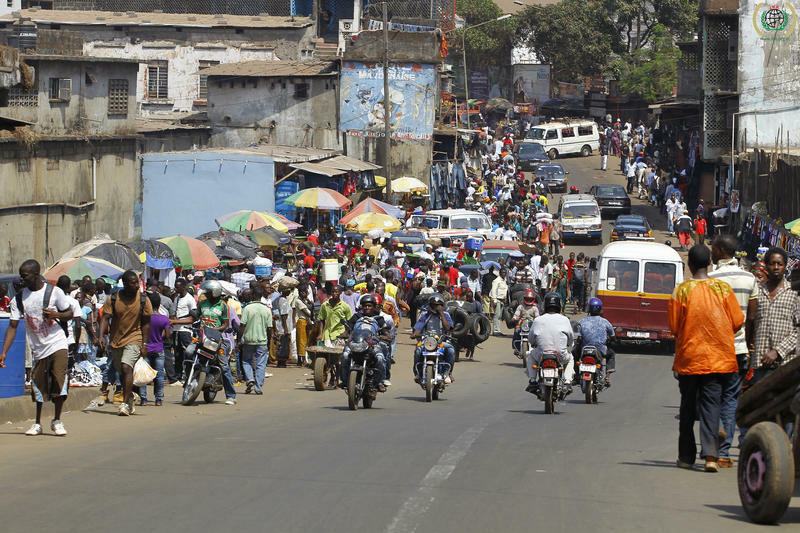 A scene from the street in Freetown, Sierra Leone's capital, in 2012. 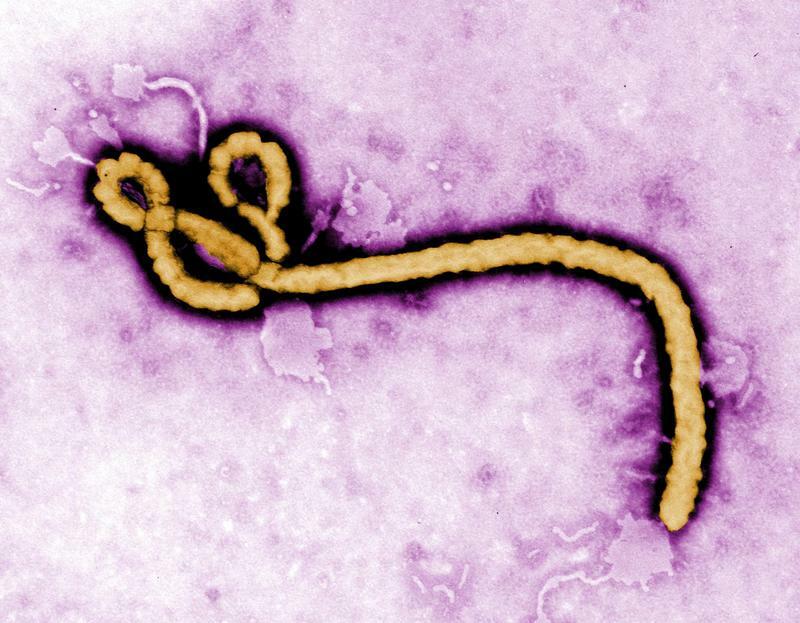 The Ebola crisis in three countries in West Africa is not over, but as the rate of infection drops public health officials are looking at what they’ve learned from the epidemic that killed thousands, so that they can be better prepared for the next outbreak. One issue in Sierra Leone is a reluctance among some rural residents to seek treatment from medical staff. A New Hampshire-based reporter has been looking at what’s behind that reluctance, and what’s been done to address it. Matt Hongoltz-Hetzling writes for the Valley News. He recently took a reporting trip to Sierra Leone for a project with the Pulitzer Center on Crisis Reporting. He joined Weekend Edition to talk about his trip to Sierra Leone and his reporting there. Journalist Matt Hongoltz-Hetzling talks with NHPR's Brady Carlson. I'd actually planned this trip before the Ebola crisis ever became an international issue. There's a much worse crisis happening in west Africa that not a lot of people think about: the ongoing, massive number of deaths of infants and pregnant mothers as they go through their daily lives. What goes into that? You wrote about the ongoing distrust among health workers. The infant mortality rate is just about the worst in the world. About one in five children don't live to see their fifth birthdays. And this is often because of very preventable conditions. Yeah. If you're a young, pregnant woman in Sierra Leone, you don't really have a lot of great options. There are government-run hospitals where there's widespread corruption. Even though the national government has, since 2002, guaranteed free health care for pregnant women and young children, in fact, most pregnant women and their families are still asked to pay when they go in to deliver a child. So that's option one, which is just untenable in a country where a lot of people make about a dollar a day. The other option they have is to make use of a network of traditional faith healers, sometimes referred to as traditional birth attendants. These are generally women who are situated in the community and who have a strong relationship with the young mother. That often makes them the more favorable option, but the problem is that a lot of times they give advice that is not medically sound. They'll tell a young, pregnant woman not to eat eggs, because those eggs could turn the child into a thief. Or they'll tell her not to eat bananas, or not to go out at night, because that could invite unwanted attention from evil spirits. And when it comes to childbirth or Ebola, every bit of medical advice can be crucial. Absolutely. This is at the root of some of the massive problems there. Women [in Sierra Leone] die at a higher rate during their births than anywhere else in the world. The infant mortality rate is just about the worst in the world - about one in five children don't live to see their fifth birthdays. And this is often because of very preventable conditions - malaria and pneumonia, things that we just don't think of as life-threatening here, because we can access treatment. There, there's still these obstacles that persist. You were reporting on a group that may have found a way to overcome some of these obstacles to individuals getting care. What do they do? There's a group there called the Wellbody Alliance. They've been operating a clinic there since 2007, and they're a very unique NGO. While a lot of big humanitarian organizations operate from central offices where all the big decisions are made, this is a small NGO that has headquarters in Boston but which is a true partnership with the local Sierra Leonean people. A lot of the decisions that are made can be made on the ground. Rather than pooh-poohing the idea of traditional healers and trying to get people to stop going to them, instead, they said, we're going to hire those traditional attendants and have them come into our clinics, put them on the payroll, educate them in a way that's not threatening to their spiritual beliefs. Then, when a woman who trusts that traditional birth attendant is ready to give birth, the traditional birth attendant will feel comfortable bringing that woman into a clinical setting. That's what we saw during our time in Sierra Leone, and it seems to be working beautifully. It's not a brand new idea; the World Health Organization has actually been telling the global community for several years now [that] we need to work with traditional healers, because we have something the medical community often does not: trust. A relationship with the public. And so when you have NGO workers or health care workers showing up in full protective equipment, in a village that might not have seen a white person for the last decade, you can imagine why that person was not immediately embraced. Especially when their mission was essentially to track down an Ebola patient suspect and cart them off, never to be seen again. I was reading one of the dispatches you sent back from your trip. You wrote about a moment where you'd been on the roads of Freetown, the capital. You were in place for about 20 minutes, and said you "tried and failed to describe the people streaming by." Instead, you just listed your notes - short descriptions of the people you saw. What do you think made that so difficult? the World Health Organization has actually been telling the global community for several years now [that] we need to work with traditional healers, because we have something the medical community often does not: trust. I think when we have these first impressions of people - they're so fleeting. It was frustrating to me because I saw that there were these very deep and rich lives, but being an outsider to the community, I only had the ability to observe the scantest details. Surface impressions seemed to be all I could absorb, because it was all so new to me and all such a culture shock. I think it's emblematic of the way we - in this country and elsewhere - view Africa. We see these surface impressions - maybe a hungry kid, or a diamond miner working hard. We don't really understand that diamond miner's got a family, he's got children, he's got dreams and hopes and aspirations. It can be so difficult to appreciate the uniqueness and humanity of every person in Sierra Leone. If you'd taken this trip a few months ago, inevitably the first question you would've gotten on your return home was, "Is your quarantine period over yet?" What kind of response have you gotten from people who know you've just traveled to Sierra Leone? I'd say it's generally been positive. I am under observation by the CDC, which, in practice, means I'm reporting my temperature to them on a daily basis. But certainly it's been a much different reception than one I would've expected had I gone over there in December, when Ebola was just rampant. Do you think you'd go back? Yeah. There's a lot of story there to tell. I don't know that I ever will personally go back, but certainly I would recommend it to any journalist or just anyone who wants to make a difference in the world. Ebola isn’t in the headlines as much as it was about a month ago, but that doesn’t mean it’s not still a problem in West Africa. Over 6,000 people have died there and more than 17,000 have gotten sick with the virus. The Pentagon has sent troops to Africa to help fight the disease, and healthcare workers from around the country have also volunteered. NHPR spoke with one of those volunteers. Dr. Elizabeth Talbot is New Hampshire’s Deputy Epidemiologist, and she joined us on the line from Sierra Leone, where she’s been for a month.